يقع Alpine Glacier Motel في Town Center, فرانس جوزيف جلاسييه, هو خيار شائع بين المسافرين. يمكن من هنا للضيوف الاستمتاع بسهولة الوصول إلى كل ما تقدمه هذه المدينة النابضة بالحياة. بالنسبة لمن يريد الخروج، هذه بعض المعالم السياحية المتوفرة للزوار Westland Tai Poutini National Park. إن Alpine Glacier Motel حريص على توفير الراحة للنزلاء، فلا يوفر الموظفون جهداً في تقديم أفضل الخدمات وضمان حسن الاستقبال. يقدم الفندق فرصة للاستمتاع بشريحة واسعة من الخدمات بما فيها: واي فاي مجاني في جميع الغرف, مرافق مخصصة لذوي الاحتياجات الخاصة, تسجيل وصول/خروج سريع, تخزين الأمتعة, واي فاي في المناطق العامة . في الفندق غرف نوم يتجاوز عددها 24، كلها مجهزة بعناية وجمال وبعضها مزود بـ تلفزيون بشاشة مسطحة, اتصال لاسلكي بالإنترنت, اتصال لاسلكي بشبكة الإنترنت (مجاني), حوض الاسترخاء, غرف لغير المدخنين. يقدم الفندق العديد من الفرص للاستجمام كمثل حوض استحمام ساخن. إن Alpine Glacier Motel هو خيارك لخدمة الفنادق الراقية في فرانس جوزيف جلاسييه. Managed to book only a few weeks out when everything else was booked out, perhaps I scored a last minute cancellaton but the price was still reasonable. The check in was easy enough, although they had run out of milk (love that you get fresh milk, not UHT) and said they would bring later. The milk never arrived so had to go get it in the morning which was a bit annoying. Rooms were nicely maintained and had everything you need for a short stay. You cant really keep you blind/curtain open as its all glass and people are walking past to other rooms. Felt it was good value for the glacier area and would stay again. Location was good as it was situated near the town center. Friendly staff and clean rooms. However, facilities were quite dated and tv channels were limited. Overall still a good choice for the budget friendly traveler. Having been told that Franz-Joseph was a tourist trap I was pleasantly surprised by this place. It wasn’t cheap but then it was the same price as hokitika and nicer. Clean. Only draw back is lighting. No bright ceiling lights only reading lights really. I dropped a star off service purely as there was no one to greet us and only saw staff the next day, in saying that didn’t need to as they left key in the door and a note to this effect on the window. Good thing I don’t mind my name on display. We loved this hotel. We booked a balcony room & were a bit disappointed that the balcony was looking over a road then the beautiful view. But actually it didn’t worry us while we weee there. We just set in the balcony with a beautiful drink & watched the beautiful view. The shower didn’t have much pressure but that was minor. The hosts were amazing & we would highly recommend staying there. A nice and clean place. However, there was always some kind of smell coming from the kitchen sink. Wonder what was that. Other than that, everything in the room look new, clean and cosy. Heater provides the warmth we need on the rainy days we were there. Awesome! Staff at the reception were nice and friendly too. Good location with walking distance to restaurants. Standard amenities within the room but the tidy wardrobe had limited space due to a fan in there. My room smelled of urine and the staff gave us air freshener which helped to mask the smell. No toiletry holder in the bath area but a stool was in the bath room so we used that to put or toiletries. Stayed here 1 night for holiday. Greeted by a the host/reception and he was very kind, detail and thorough in explaining everything about Franz Josef. The hotel is behind a Mobil petrol station, and walking distance to anywhere in Franz Josef. The room is spacious, clean, and equipped with cooking utensil, dishes and everything you need for a good night stay. 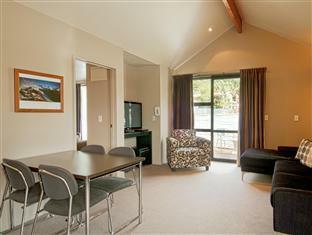 Good value for money in the middle of Franz Josef area. Nothing to complain, keep up the good work! We had booked a King Family Studio and a Queen Studio, and on arrival the reception upgraded us to two King Family Studios so we could be right next to each other. That was really kind. The rooms looked and felt new from the bathroom to the kettle and everything in the kitchenette. And the heaters in the rooms were great too, in winter. The location of this hotel can't be better - walkable to the grocery store and eating places . We had a lovely stay. Would definitely recommend the place. We stayed 2 nights at the Deck studio. It was great as the room was very spacious and clean. Convenient as it's near all restaurants and a supermarket. Will recommend to those going to Franz Josef Glacier! The Motel was very cozy & spacious and the amenities were great. It’s located near everywhere in town and you could get a view of the peaks from the balcony or outside your room. Overall the Motel was above average, it could be excellent if only the bed was not so soft and the bathroom did not have that slight sewer smell. I would still recommend this Motel to anyone visiting Franz Josef! I have the best time here. Room is clean and all facilities are there. We came from Queenstown so we arrived a bit late but they already turn on the heater waiting for it. It was such a nice feeling coming to warm room after a ling road Trip. Billy at reception is so friendly. He recommended us few good places to visit and even decided the route for us.... best!! Our room have been upgraded. 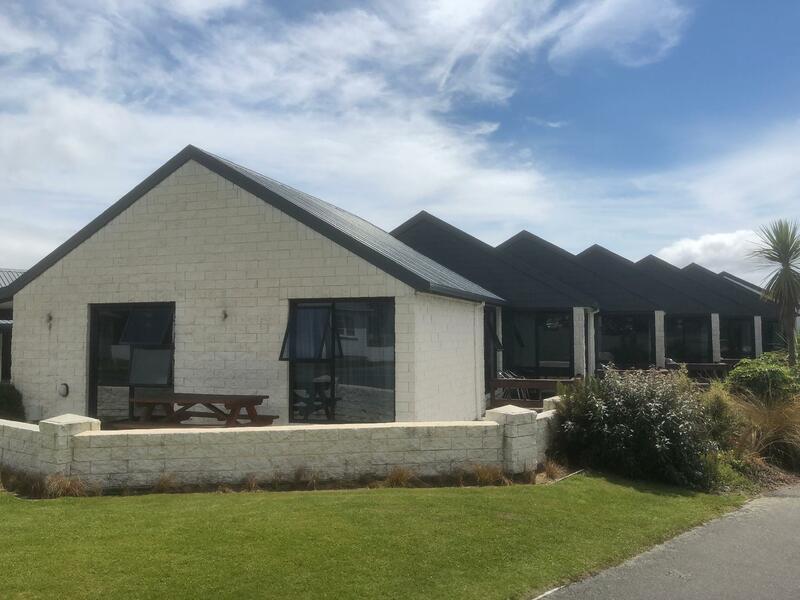 Definitely one of the best motel from our NZ trip. From the balcony we can see the glacier. Easy access to eatery & walking distance to town center. Convenient location and close to shops, restaurants and walking tracks. Our queen studio room was clean and well equipped plus free parking. Pleasant motel room made even nicer by the extra touches, such as nice furnishings, a kitchenette and small deck at the front of the room. I’d happily stay here again. Loved our stay here. The kitchenette in the room was very handy and used a lot for making some meals when we didn’t want to eat in town. Walking distance to the main strip and around the corner from the supermarket and gas station. Make sure you get the room with a spa because it was so worth it when you come back from hiking all day and just need a soak. Room was clean and looked quite new and updated. Nice little balcony to eat breakfast too!